The 5th semester Finance and Marketing students participated in the New Business Age Article Review Session on 5th December, 2018. 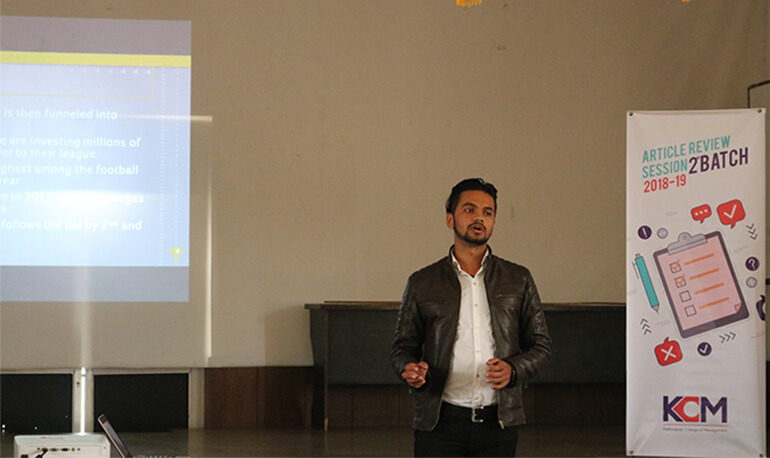 Ms. Kritisha Prajapati, Ms. Aastha Subedi and Mr. Prithvi Kalyan Parajuli presented on their respective topics. A fruitful discussion was conducted in the question and answer session. The guest speaker Mr. Keshav Gautam (Executive Editor of New Business Age) provided his feedback on the presentation and on the entire event making the session more productive.